Claire Ladd knows that this summer is going to be special. She and her two best friends, Ronan and Brianna, are turning twelve. She is leaving camp behind and gets to do what she wants all day. She feels everything starting to change. But things don’t always change for the better. With Brianna’s cousin Eden visiting for the summer, Claire feels like a third wheel. Even though she is only a year older, Eden seems so much more sophisticated and glamorous . . . and when she's around, she takes up everyone’s attention, including Brianna’s. But that doesn’t explain why things have felt awkward with Brianna ever since she moved to a fancy new house, or why Ronan, who lives in the trailer next to Claire’s, has started acting moody anytime anyone mentions his dad. 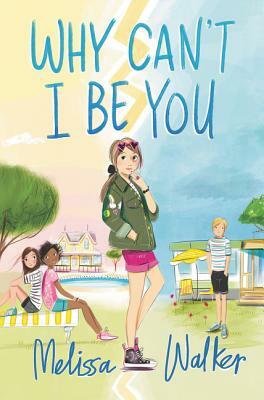 Claire has always been happy with her life just as it is, but as the summer wears on and the issues with her friends start to grow, she can’t help but wonder: Would everything be better if she could just be someone else?